These are step-by-step instructions on how to jailbreak iOS 4.2.1 on iPhone 3GS, iPhone 4, iPad, iPod Touch 2G, iPod Touch 3G, iPod Touch 4G using Greenpois0n for Mac OS X. Tutorial for Windows users is available here. All the steps are the same for all devices, we will cover iPhone. 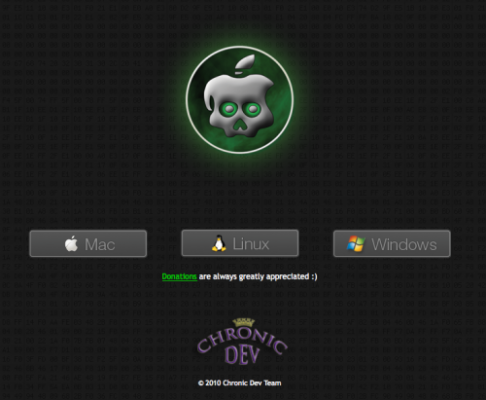 Open your web browser and download the latest Mac version of GreenPois0n from here. You can jailbreak iPhone 4, iPhone 3GS, iPod Touch 2G, iPod Touch 3G, iPod Touch 4G, iPad. Unlike redsn0w 0.9.6 this is untethered, so there is no need to connect iOS device to a computer after restart. A California resident has filed a class action lawsuit against Apple. 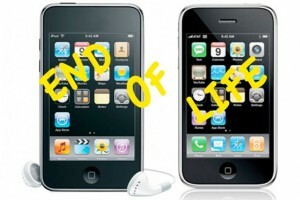 He claims that the company doesn’t warn customers enough about the fragility of the iPhone 4. He said that his iPhone 4′s glass broke when his daughter dropped the device from a height of about 3 feet, while sending a text message. 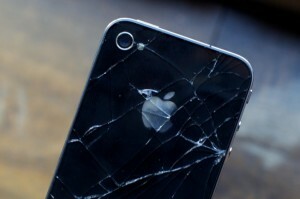 He tried the same experiment with an iPhone 3GS, which didn't break. The man even claims that Apple “knows about the design flaw and refuses to warn consumers that “normal” use leads essentially to a broken phone.” Though, as Apple claims, the iPhone 4′s glass is 30 times harder than plastic and is the same “glass used in helicopters and high-speed trains.” But a survey of 20,000 damaged iPhone 4 proved that the iPhone 4′s glass breaks 82% more than the iPhone 3GS’s glass. 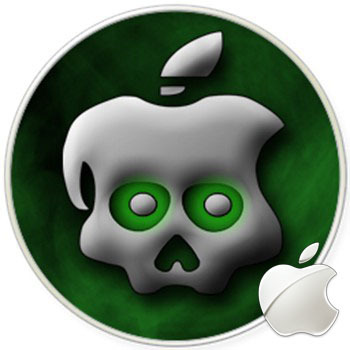 The Chronic Dev-Team has announced via twitter an untethered jailbreak for iOS 4.2.1. This should work for iPhone 3GS (new bootrom), iPhone 4 and iPad. And it will not require saved iOS 4.2b3 SHSH keys. A small bug with wifi still remains. They will release utility as soon as they fix it. 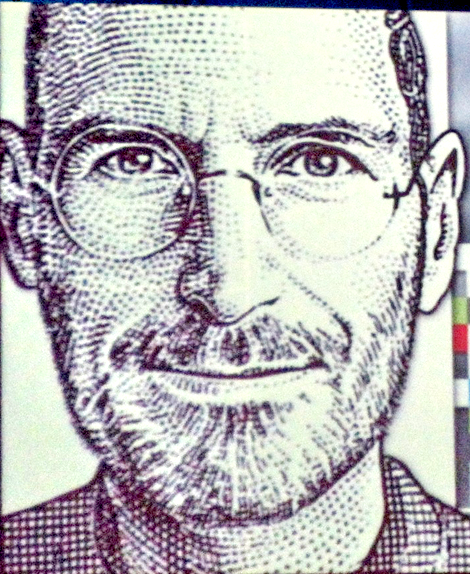 Yesterday Apple has issued new press release, which included a note from its CEO Steve Jobs. In this document he notified the company's employees that Tim Cook (who is Chief Operating Officer at Apple) will replace him for some time in Apple's day to day operations. "At my request, the board of directors has granted me a medical leave of absence so I can focus on my health. I will continue as CEO and be involved in major strategic decisions for the company." 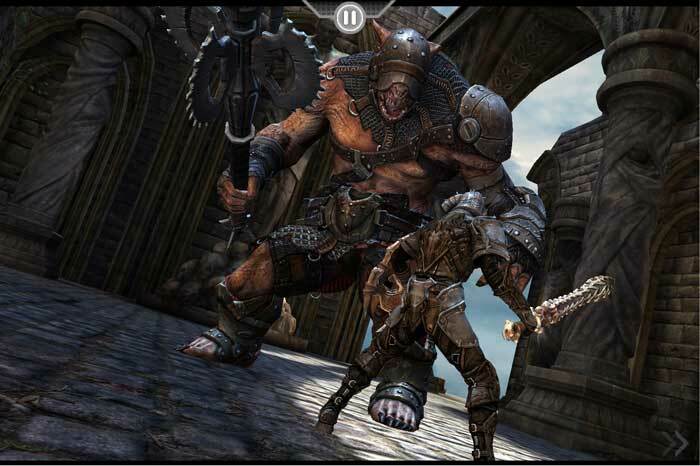 New driver has been found in the first beta SDK for iOS 4.3, which allows system to support Imagination Technologies' POWERVR SGX543 GPU. All the iOS devices starting from iPhone 3GS sport POWERVR SGX535 graphics processor that appears to be a predecessor of SGX543. The iOS 4.3 beta was released a couple of days ago. But the update isn’t available for second generation iPod touch and iPhone 3G installation. iOS 4.3 beta 1 noted that AirPrint was the dominant component of attention. AirPrint requires an iPad, iPhone 3GS, iPhone 4, 3G iPod touch, or 4G iPod touch. AirPlay and Game Center require an iPad, iPhone 3GS, iPhone 4, 2G iPod touch, 3G iPod touch, or 4G iPod touch. General multitasking an iPad, iPhone 3GS, iPhone 4, 3G iPod touch, and 4G iPod touch. Two of the three dismiss the 2G iPod touch and all dismiss the 3G, however, AirPlay and Game Center are important features. Take it as at least a warning that the second generation iPod touch and iPhone 3G are nearing the full “end of life” designation. As expected, Skype unleashed version 3.0 of the Skype App for iOS. An update allows iOS Skype users make Skype to Skype video calls over WiFi and 3G. The new video conferencing feature works between capable iOS devices as well as desktop machines. 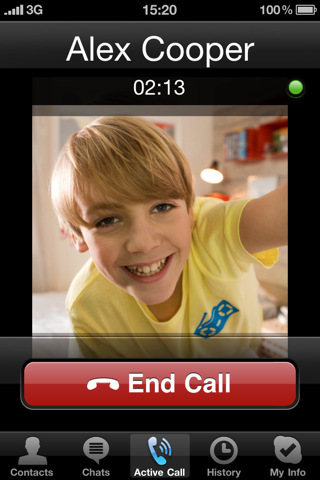 Two-way video calls are only supported on the iPhone 4, iPhone 3GS and fourth-generation iPod touch, while iPad and third-generation iPod touch users can receive video calls. Users can make video calls in portrait or landscape mode. Skype video calling requires iOS 4.0 or above. Skype has had an iPhone application since early 2009. Put video calling wasn’t available there till the present moment. But the company has to roll out video calling for the iPhone or other mobile platforms. 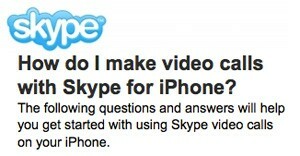 Skype is rumored to announce video calling support for the iPhone and iPod touch at CES 2011 early next month. The company has told that it is going to make a series of announcements concerning video calling at CES. Moreover, Skype will be participating in a panel called “Video Calling Gets Ready for Primetime”. MuscleNerd from iPhone DevTeam tweeted that an untethered jailbreak solution for iOS 4.2.1 will be released soon, probably next week. 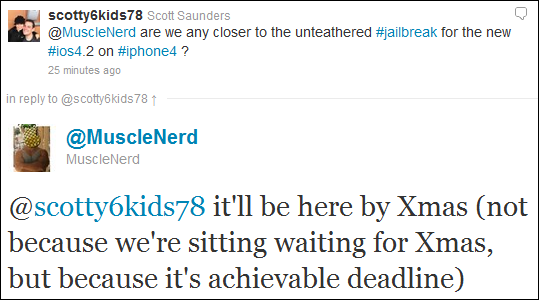 scotty6kids78: @MuscleNerd are we any closer to the unteathered #jailbreak for the new #ios4.2 on #iphone4 ? This untethered solution will be applicable to all current iOS 4.2.1 devices, including iPhone 4, iPhone 3GS, iPad, Apple TV 2G and iPod touch 4G. We will keep you updated. 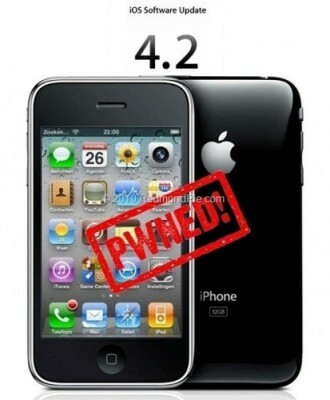 Currently iOS 4.2.1 jailbreak for iPhone 4, iPhone 3GS new bootrom, iPad, iPod 3G/4G is a tethered jailbreak. That means if you have to reboot your device, it will show a "connect to itunes" logo until you run the jailbreak software again. Musclenerd from iPhone DevTeam has announced that untethered jailbreak for iPhone iOS 4.2.1 is ready. Unfortunately this will be only for those who saved 4.2b3 SHSH keys via Cydia or tinyumbrella. Got "backup plan" for untethered 4.2.1 JB working (video coming up). Uses mysterious 4.2b3 hashes Cydia kept for you. The iPhone Dev-Team has issued a notice stating that updating your iPhone to the iPad baseband for unlock could result in the loss of GPS functionality. Unlockers have been reporting mixed results about GPS functionality at 06.15.00. Until we can track down what differentiates those who retain GPS vs. those who lose it, be conservative and assume you’ll lose GPS at 06.15.00. As we work on finding the cause (and possibly a fix), please report your personal findings in our comments section. (Update: early indications are that while 06.15.00 is capable of GPS, it will require some further hacks. But please still be conservative and assume you will lose GPS at 06.15, in case the hacks don’t work). Hackers are currently working to fix this. As usual we remind all users - if you don't absolutely need to update your baseband, don't do it. 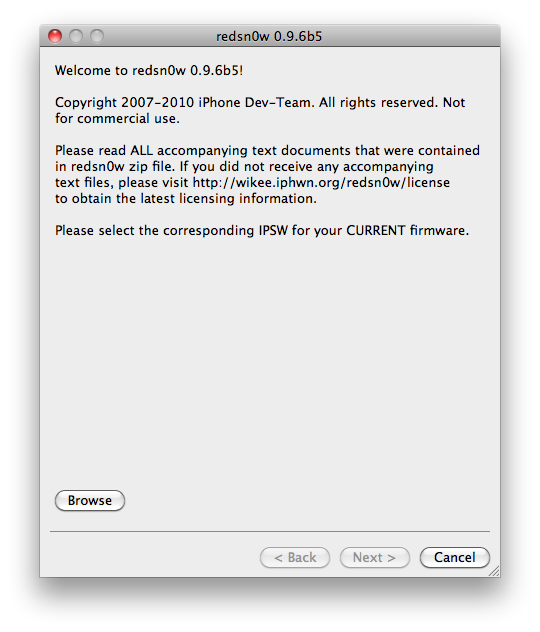 Jailbreak utility RedSn0w 0.9.6 b5 is available for both Windows and Mac OS X. The process is the same on both operating systems. So you can use redsn0w tutorial for windows. There is only one major difference - download redsn0w for Mac OS here or here. UPDATE 3: If you have new bootrom and ios 4.1, do not update to 4.2.1 - you will loose untethered jailbreak. This is step-by-step instructions on how to jailbreak and unlock your iPhone 3GS on iOS 4.2.1 firmware using RedSn0w 0.9.6b5 for Windows. If you have an iPhone 3GS with the new bootrom you will only be able to perform a tethered jailbreak at this time. This means you will need Redsn0w's assistance to boot into your jailbroken device.